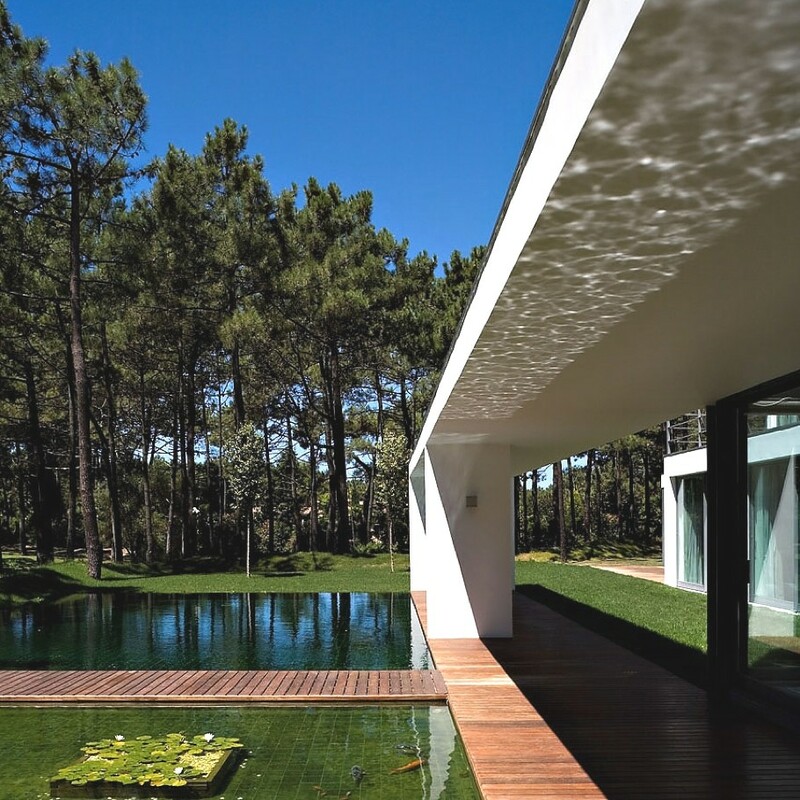 Frederico Valsassina Architects a Lisbon-based design studio has completed the Casa Do Lago project. 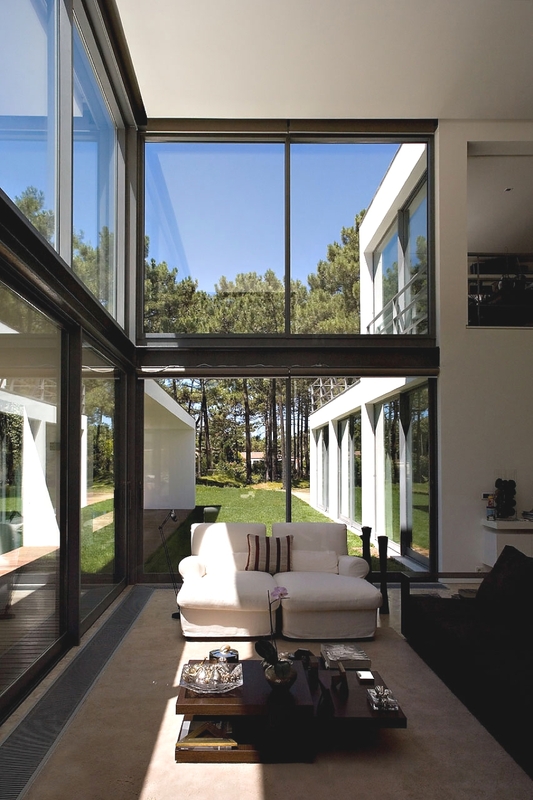 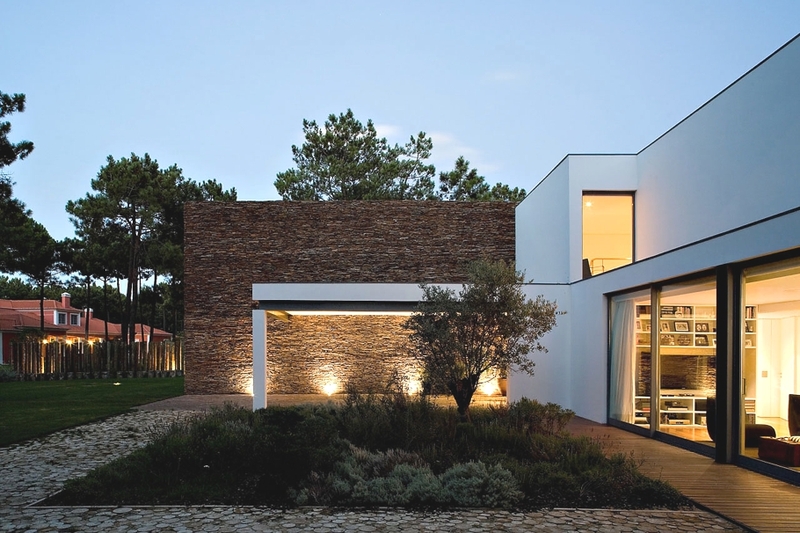 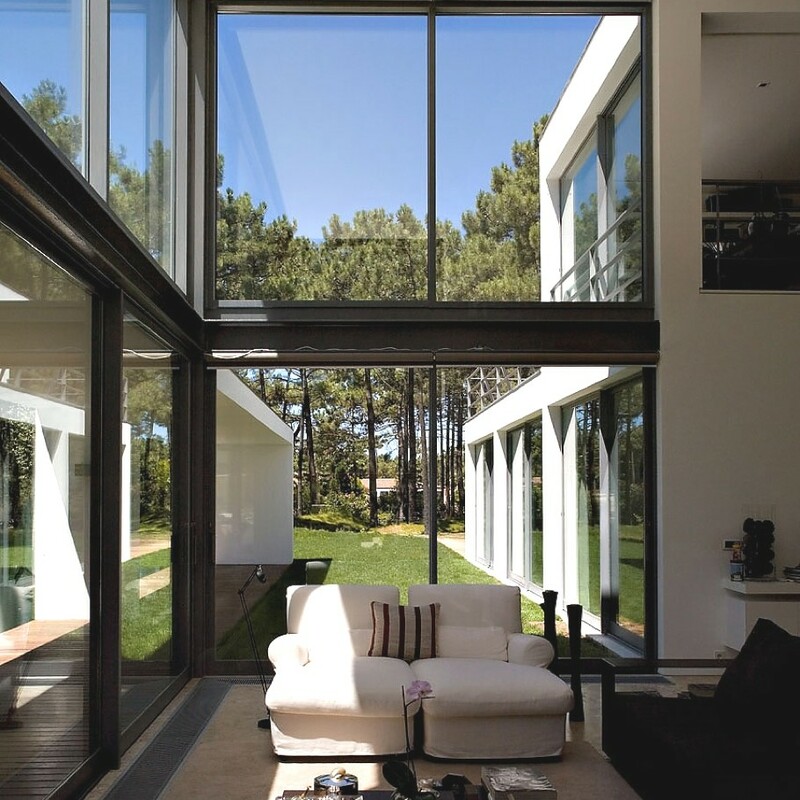 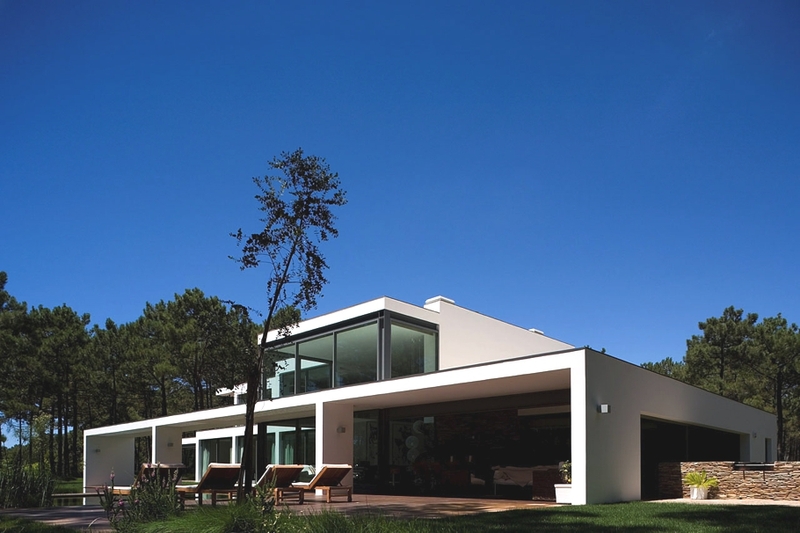 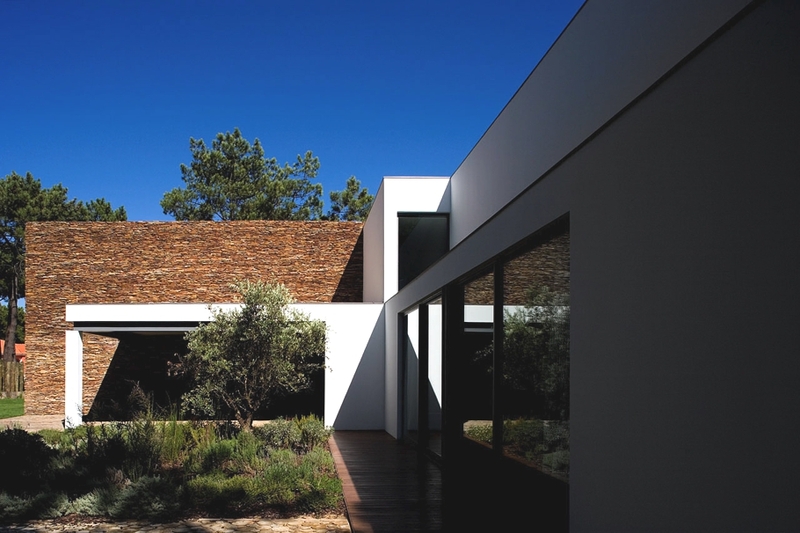 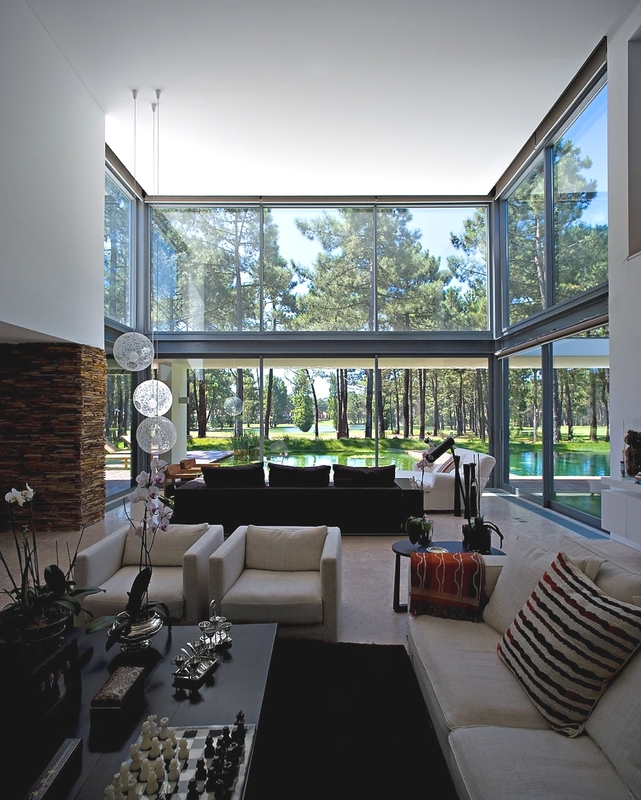 The contemporary home is located in Aroeira, Portugal. 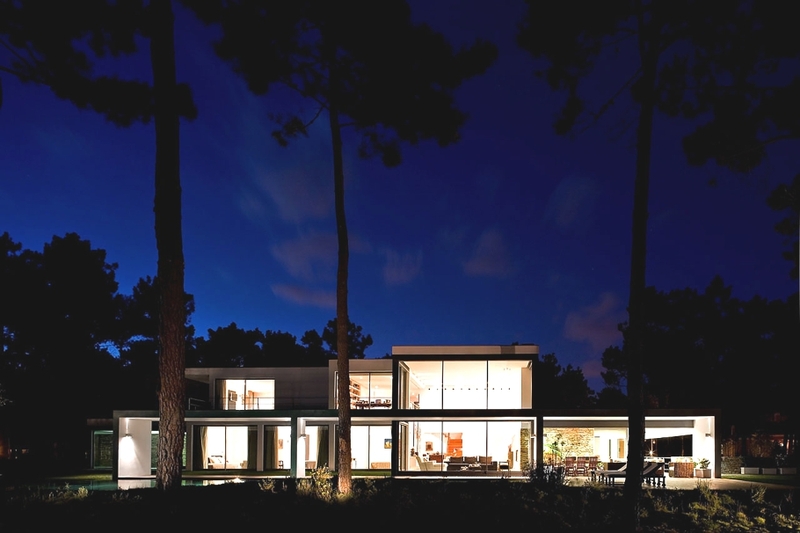 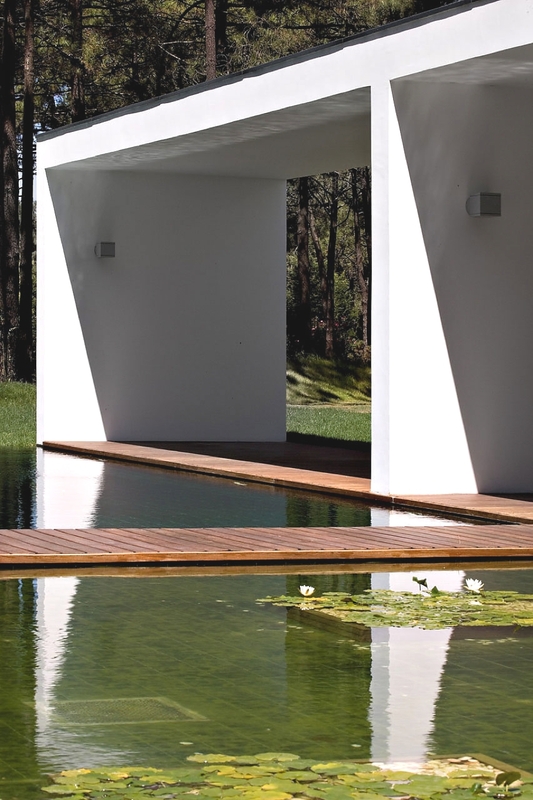 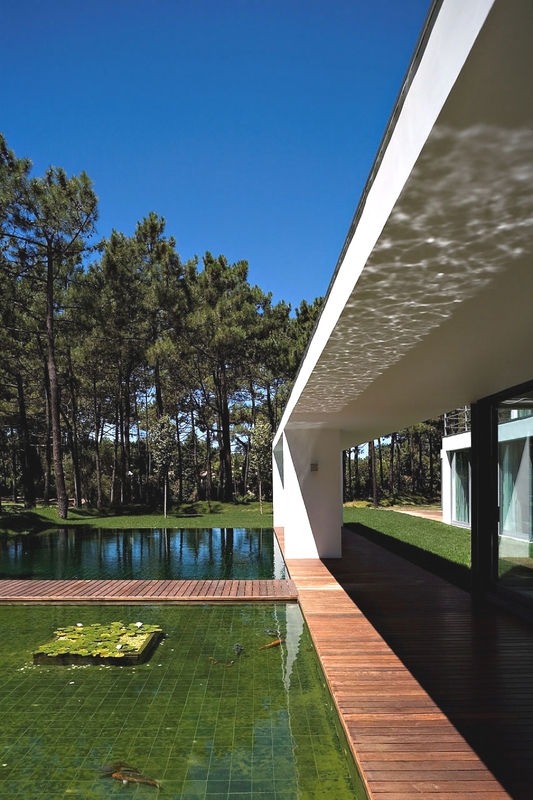 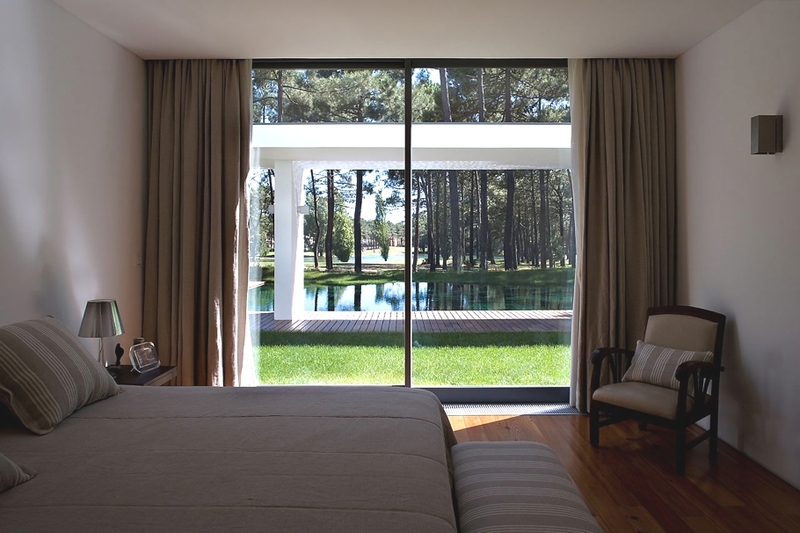 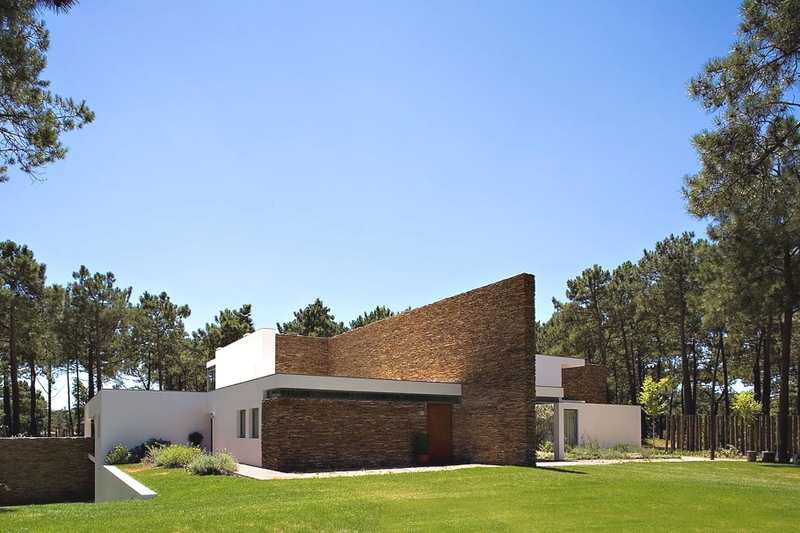 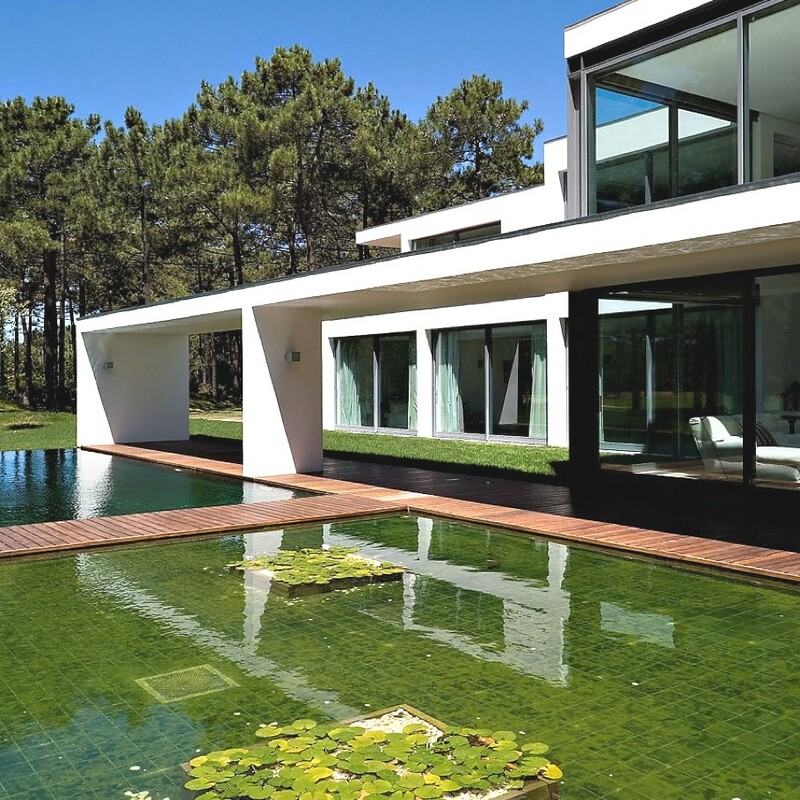 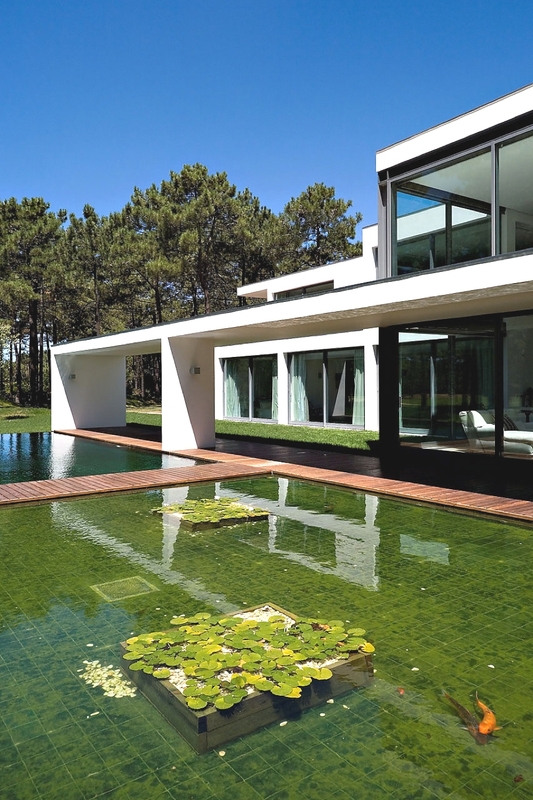 According to the architects: “The house is located on Aroeira’s estate, near the main lake of the Golf Course. 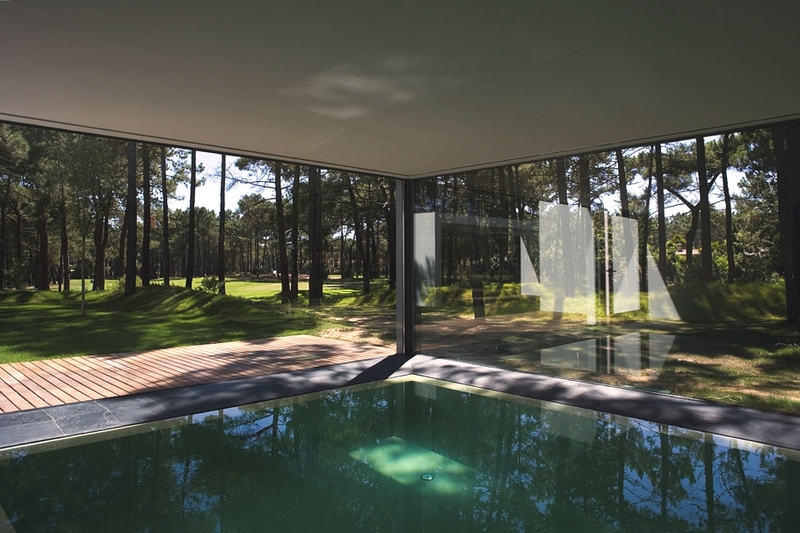 The placing and the volume’s disposition of the ‘Lake House’ result from the conjugation between the distance to the adjacent lots and the existing grove. 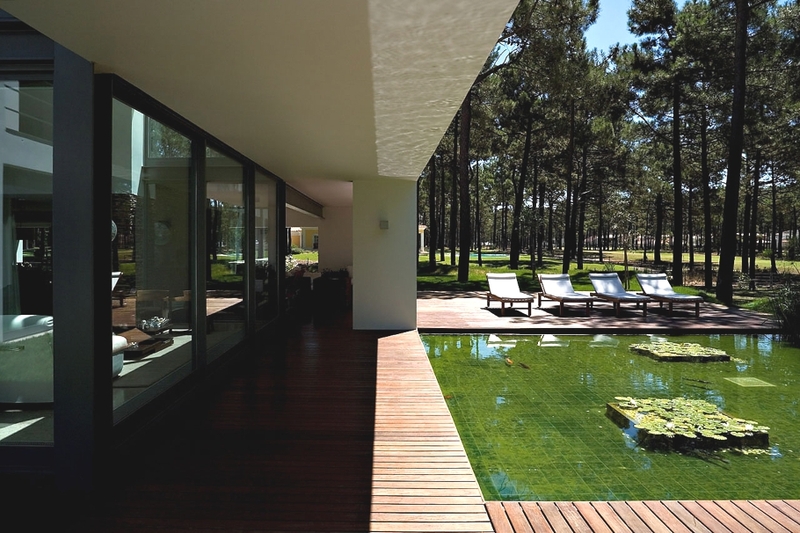 The contemporary Portuguese house comprises of different spaces – social/private, day/night – with the creation of a big terrace near the pool. 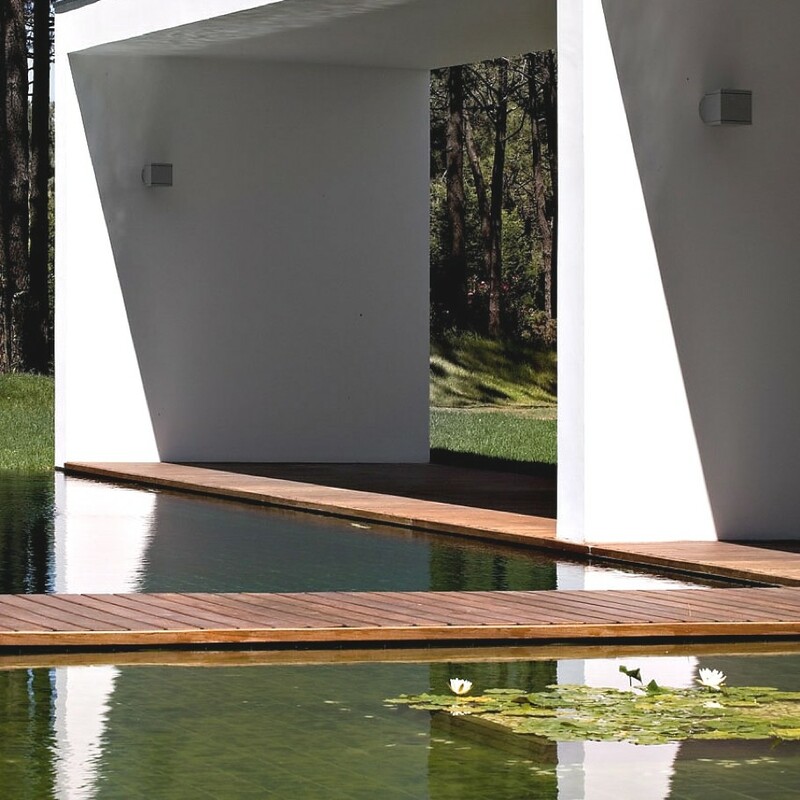 “Taking part of the lot’s location conditions, whether in terms of topographic settings as from its limits, the position of the house emphasises the creation of dominant visual alignments in the direction of the surrounding lake area. 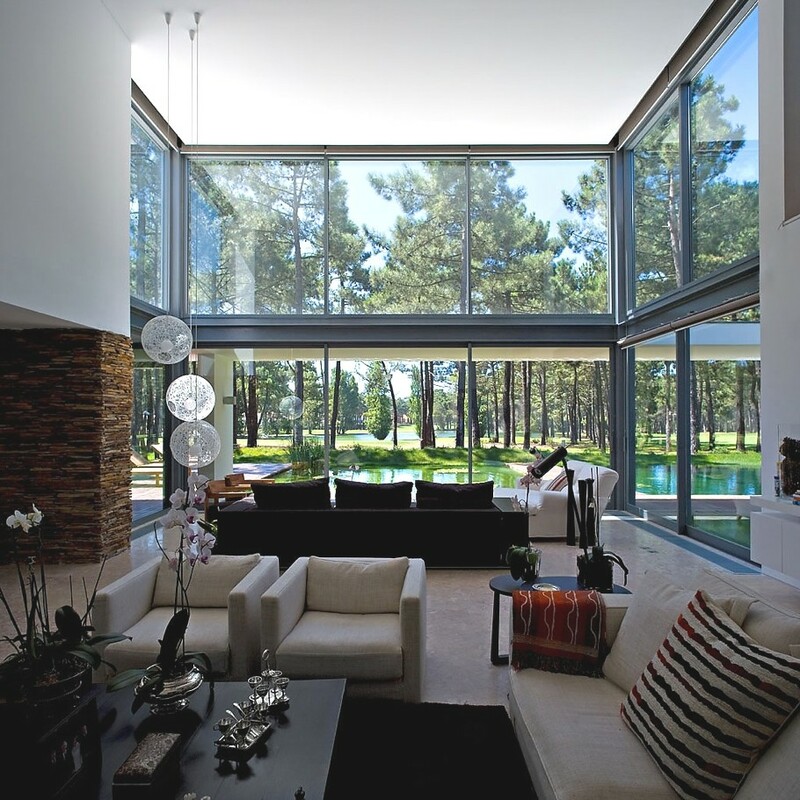 In fact, the service areas protect, strategically, the social spaces, occupying the less favourable spots of the placement. 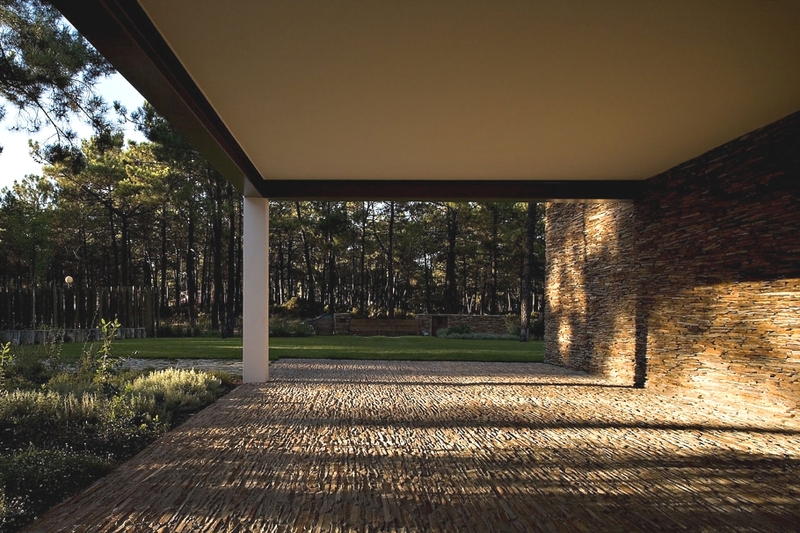 “A distribution space, by the entrance, articulates the relation between the private areas and the social space of the house, underlining the interaction between the land’s configuration and the definition of the dwelling’s programmatic scheme. 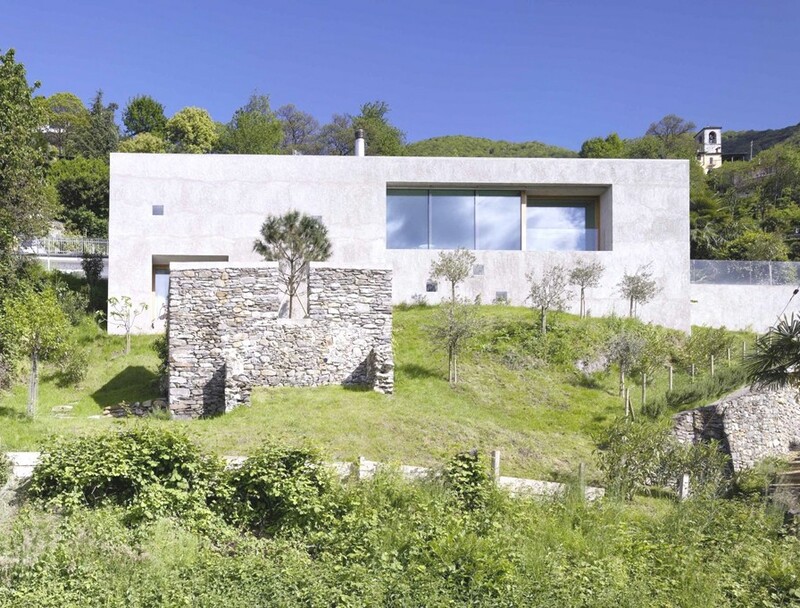 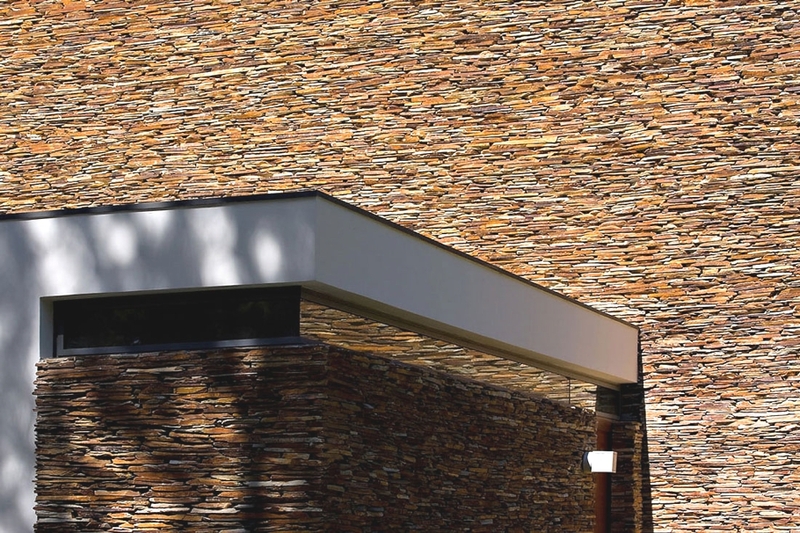 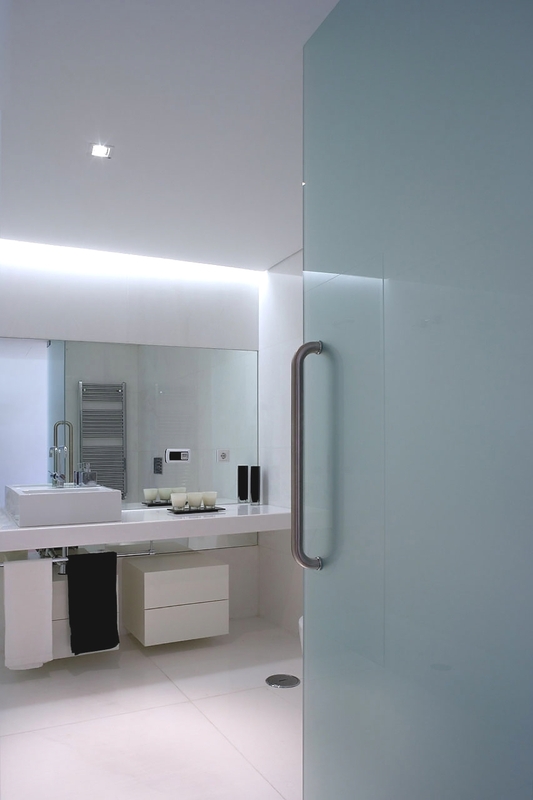 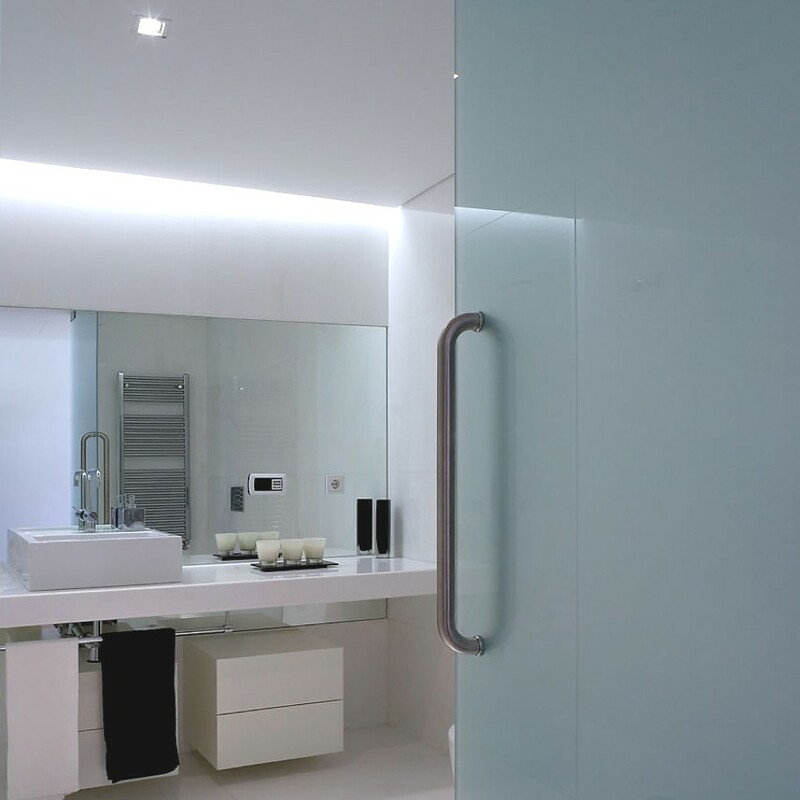 Caviano (Switzerland)-based architectural practice, Wespi de Meuron Romeo Architetti, has designed this elegant home. 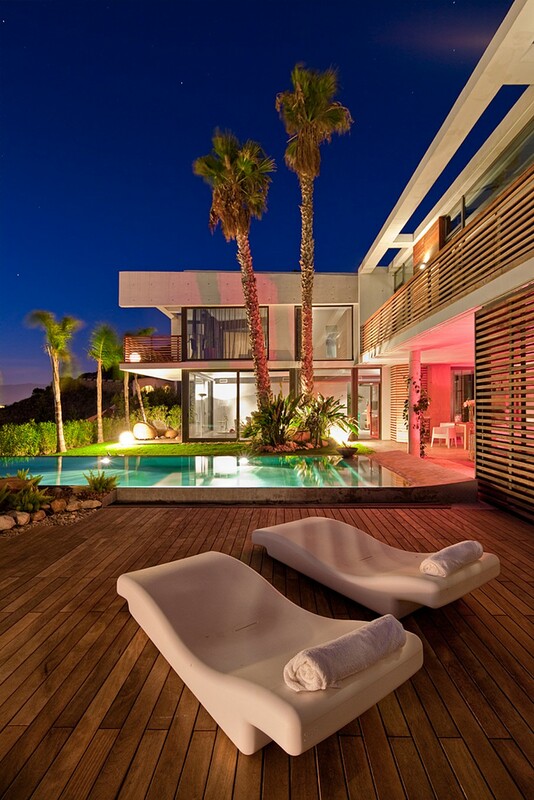 The modern home is located in in Ranzo, Sant’Abbondio, Switzerland.